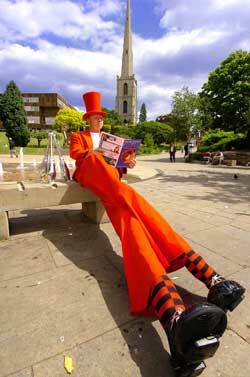 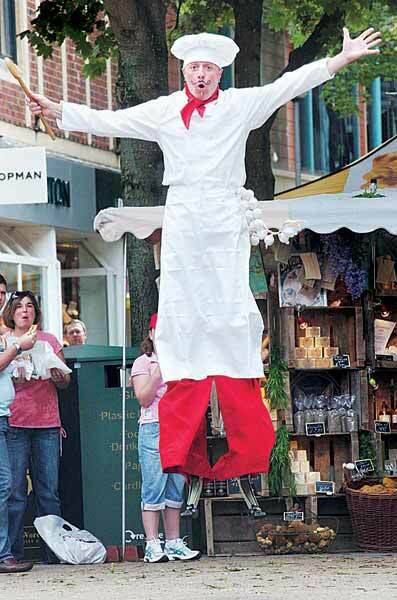 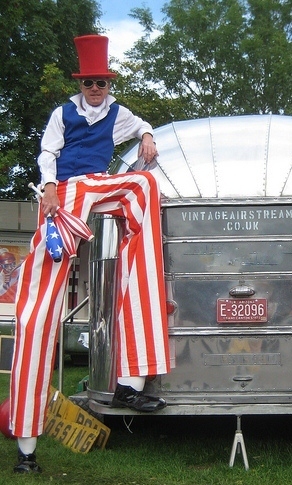 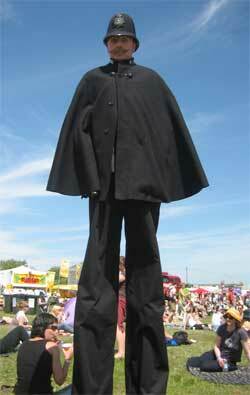 I have performed as a stilt walker and juggling stilt walker for an incredible variety of events including parades, festivals, shopping centres, garden parties, launches, race courses for horses, racing cars and motorbikes, town centres, fetes, parties, fields, beaches and even the desert! 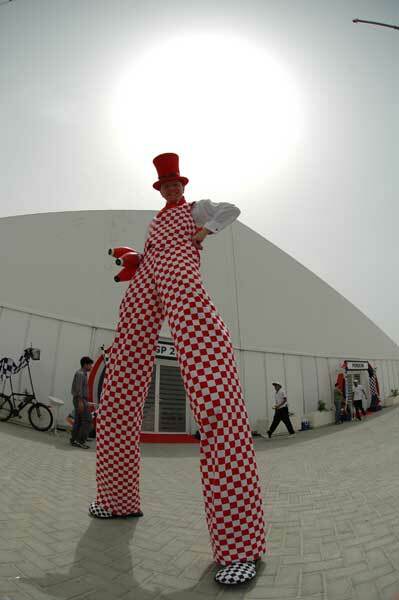 Stilt walking is a brilliant medium for meeting and greeting guests, or for mix and mingle entertainment as it makes me visible and eye catching over a very large area, it works especially well when you want your entertainment in a walkabout style and with the addition of my stilt bicycle I am able to literally take the entertainment to the entire area regardless of size! 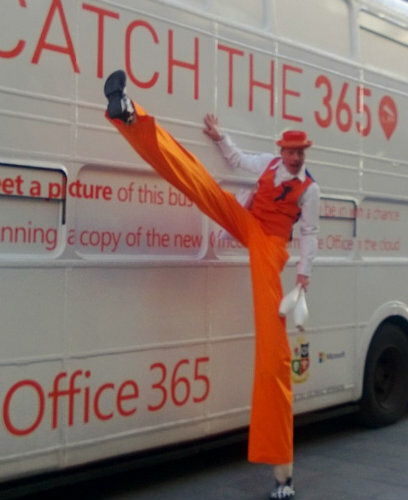 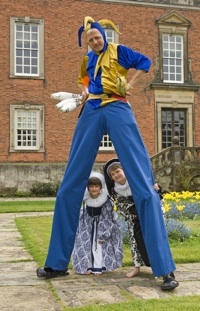 As a stilt walker I can be a very interactive character (or not), utilising high (pun intended) juggling skills, dance and comedy banter as well as impeccable manners and chivalry! 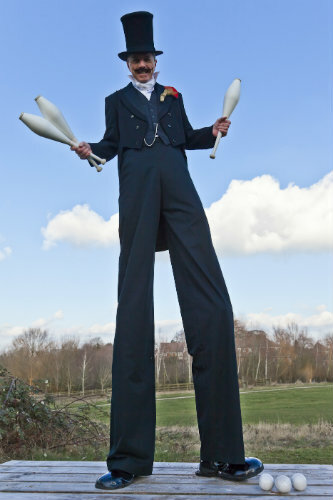 I take great pride in my appearance as an entertainer and stilt walk in many different tailored costumes such as red, orange, blue, green, black or white tuxedo, English tweed, USA, red/white stripes, complete dress tailcoat and stovepipe hat in red or black, clown, jester, sailor, pirate, racing driver and for Victorian, historical and festive events, a Dapper Victorian juggling gentleman, chirpy chimney sweep, Aristocratic dandy gentleman and a comedy Victorian/Old English policeman. 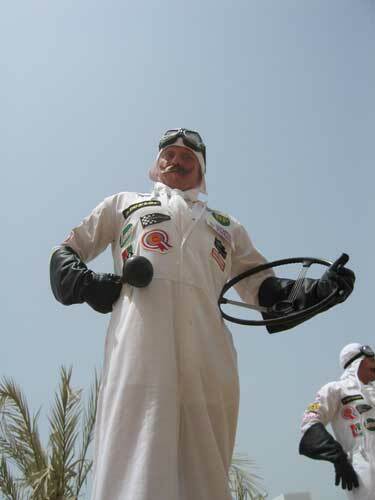 I can also design and create a bespoke costume to suit a particular engagement, for example I designed and created costumes based on the Bahrain national flag for the 1st race of the 2006 Formula 1 season race held in Bahrain, and again themed for Formula 1 Bahrain in 2007, 2008, 2009, 2010, 12, 13,14 and 16, the brief being that each time the costume was to have a link to F1 motorsport or the national colours but be entirely different each time. 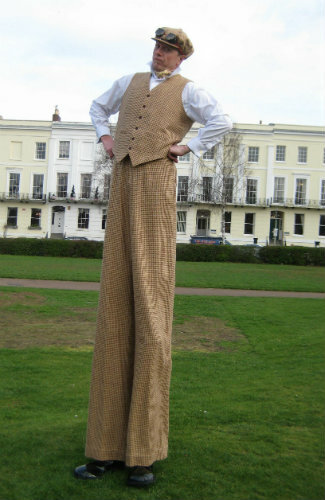 Now with added bounce ... 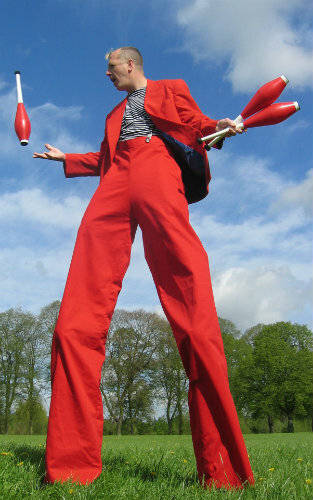 I also now perform several of my characters using bouncing stilts, primarily as a bouncing chef (Raymond Boing), bouncing Jester (Medieval kaos with Bounce!) 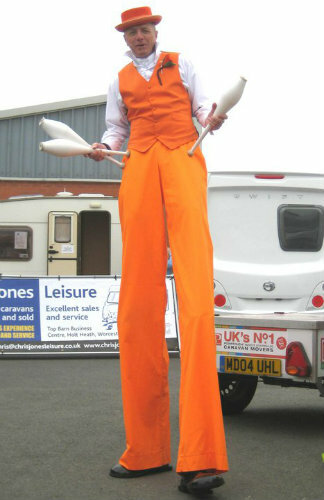 and bouncing clown, they all have an incredible additional dynamic with the high bouncing zany dancing style stilts!